Antioxidants are the best vitamins for immune system support. A diet rich in antioxidant vitamins and nutrients can help maintain healthy immunity to help your body to fight off infection. Antioxidants help to neutralize harmful free radicals – rogue molecules that cause damage to healthy cells. Researchers believe that when the balance between free radicals and antioxidants is upset, it can contribute to the risk of developing health issues. 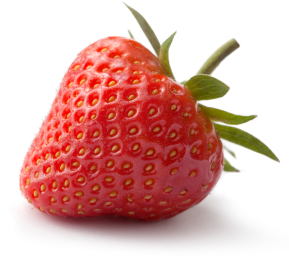 Free radicals can also interfere with the health and functioning of your immune system. That’s why antioxidants are important for fighting off damage and helping you to keep your immune system strong. Which Antioxidants Are Most Important for Immunity? The three major antioxidant vitamins are: beta-carotene (vitamin A), vitamin C, and vitamin E. You’ll find them in colorful fruits and vegetables – especially those with purple, blue, red, orange, and yellow hues. To get the biggest benefits from antioxidants, eat these foods raw or lightly steamed; don’t overcook or boil. To get enough of these vital antioxidants in your diet, experts recommend eating an abundance of brightly colored fruits and vegetables, including: berries, citrus fruits, kiwi, apples, red grapes, kale, onions, spinach, sweet potatoes, and carrots. For better health and immune functioning, you should aim for the recommended dietary allowance (RDA) of the major antioxidant vitamins and minerals, every single day. If you aren’t able to get enough antioxidants for immune support from your diet alone, consider adding a multivitamin like Geritol® to your daily routine. While a multivitamin isn’t a substitute for a healthy, well rounded diet of antioxidant-rich fruits and vegetables, a well-balanced multivitamin can help ensure that your body is getting all of the building blocks for a healthy immune system. Geritol® multivitamin is specially formulated with just the right vitamins in just the right amounts so you can feel your best. 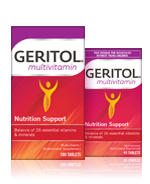 Geritol® multivitamin contains antioxidant vitamins A, C, and E, plus every vitamin and mineral established as essential for human nutrition, all in one tablet. 10 Immune System Busters & Boosters. 2005-2013 WebMD. Retrieved from: http://www.webmd.com/cold-and-flu/10-immune-system-busters-boosters?page=2 January 15, 2013. Antioxidants and Your Immune System: Super Foods for Optimal Health. Food & Recipes. 2005-2013 WebMD. Retrieved from: http://www.webmd.com/food-recipes/antioxidants-your-immune-system-super-foods-optimal-health January 22, 2013. How to boost your immune system. Harvard Health Publications. Harvard Medical School. Retrieved from: http://www.health.harvard.edu/flu-resource-center/how-to-boost-your-immune-system.htm January 18, 2013.